Attacking a concentric castle during the Medieval times of the Middle Ages was made difficult by the skills and designs of the concentric castles by people like King Edward I and his master builder and architect, Master James of St. George. 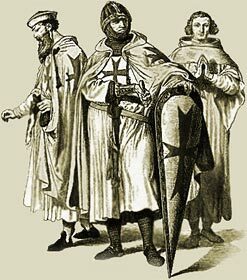 The Crusades were popular during the Medieval times and era. Thousands of people travelled to Holy Land and joined in the Medieval crusades of the Middle Ages. They were exposed to the great fortresses of the Holy Land, different architecture and advanced siege warfare tactics and siege engines. This new found knowledge and ideas helped to improve the designs of concentric castles making the task of attacking a castle in Medieval Times more difficult. However, the advanced siege warfare tactics and different types of siege engines assisted the lords and knights in attacking a castle the Middle Ages. Successfully attacking a castle during the Medieval times of the Middle Ages depended on whether the castle and its inhabitants could withstand a siege. Understanding Siege warfare was critical during the Medieval times and era. The concentric castles of the Middle Ages were designed with this in mind and included defence features such as the Moat, Portcullis, Barbican, Gatehouse, Crenellations and Drawbridge. The Medieval siege engines had to break down all of these defences if the attack on the castle was to be successful. The alternative was to starve the inhabitants of the castles and force surrender. The soldiers attacking a castle in Medieval Times had to use every siege weapon that might be available to them. The Medieval Siege Weapons used during the Medieval times of the Middle Ages were constructed at the site of the castle which was to be placed under siege. The exact type and number of siege weapons and their design had to be established when plans were made to attack a castle. Medieval lords, knights and their Siege Engineers identified the weakest parts of the Castle and planned their siege strategy accordingly. The siege engines when attacking a castle in Medieval Times were the Trebuchet, Ballista, Catapult, Mangonel, Battering Ram and Siege Towers. The Medieval Times website provides interesting facts, history and information about these great fortresses and castles of Medieval times including this section on Attacking a Castle in Medieval Times. The Medieval Times Sitemap provides full details of all of the information and facts about the fascinating subject of the lives of the people who lived during the historical period of the Middle Ages. The content of this article on Medieval life and times provides free educational details, facts and information for reference and research for schools, colleges and homework for history courses and history coursework.